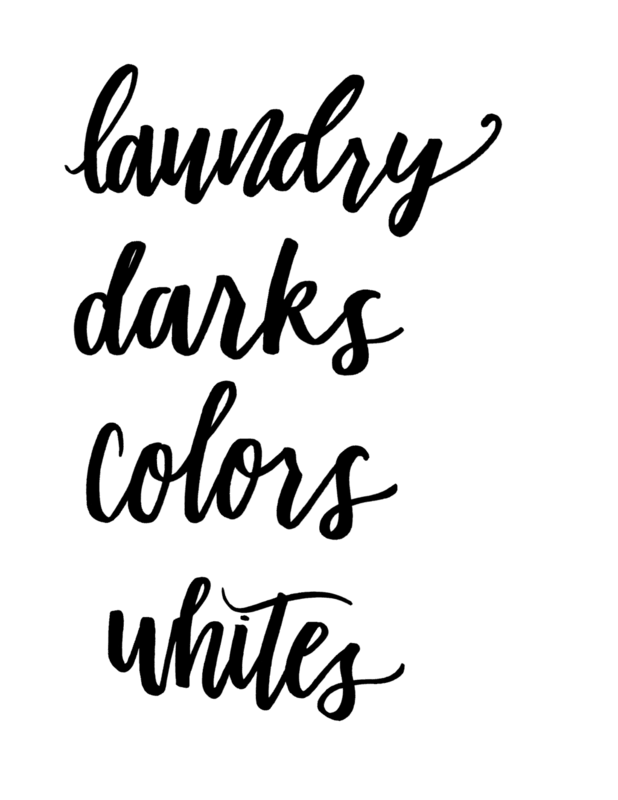 I'm Sarah from Pretty Providence and I'm so excited to be sharing my new laundry organization with you today. I really needed a space-saving solution for sorting the laundry in my bedroom. Regular hampers were taking up too much space and I didn't like how they looked either! I fell in love with these bags a few months ago and I love having them hung up on the wall, taking up very little space and looking super pretty with the hand-lettered labels! 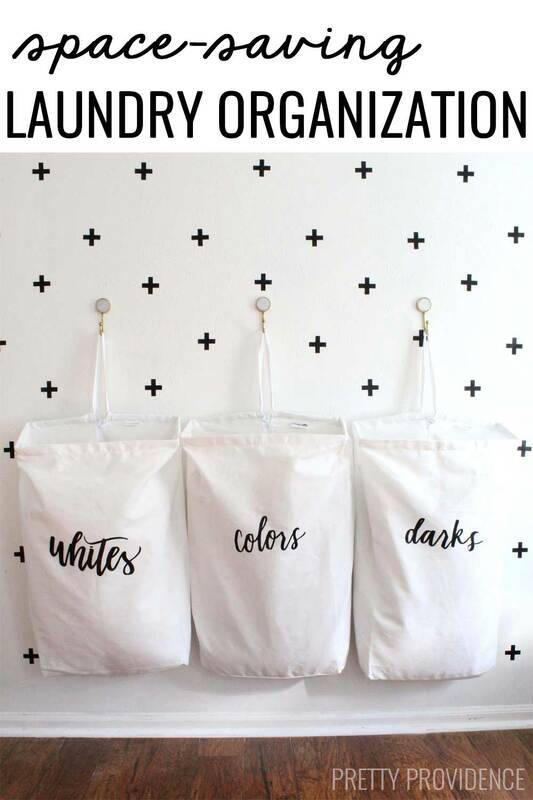 To label the bags, download these designs to your computer. To do so, just open the link and save to your desktop. You can also use any font in in Cricut's Design Space. 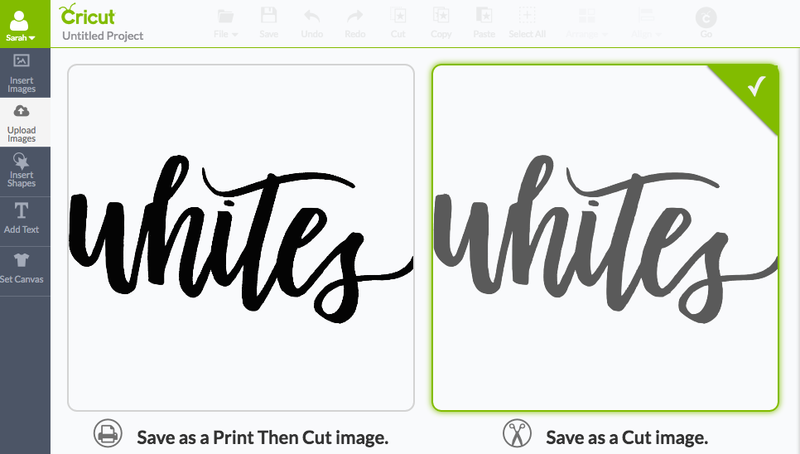 Either way, once you are ready to cut - upload your design into Cricut Design Space. Choose ‘upload image’ then ‘simple image’, ‘cut only’, then ‘insert’. Then you can size it to fit your laundry bags. Last step: remember to check the box that sets your machine to cut REVERSE for iron-on designs! Make sure to lay your vinyl shiny side DOWN on your cutting mat as well before you cut. When it’s cut, weed it out and iron it onto your bags. Peel back the backing after the vinyl is cool to the touch. Once your bags are all ready to use, hang wall hooks for your bags to hang on. TA DA! Just what I was looking for! Thanks for the inspiration and the designs. Love these. Can you tell me the font? I want to make one for towels. Thanks they look great! !